I recently found myself looking through my CD collection. In high school, I had a boring job. Sure, it was fun at times, but too often we ran out of real work and they stuck my friend Bill and I in a room to do menial tasks like counting the number of pages in documents. Boring. We quickly found that a solution was to buy a new CD every week or so, and that made things fun. It’s also the reason I have songs like It’s the End of the World As We Know It memorized, and because of that, I can be a lot of fun at parties. Here is a list of the World’s Blankiest 90’s Albums, which is basically just a trip down nostalgia lane for me. The only restrictions I make is that the CD had to be released in the US during the 90’s, and that it had to have more than one song on it that I loved to listen to. Oh, the memories. I fell in love with this album when I heard it as the background music on an episode of Tiny Toon Adventures. That was the coolest episode of a cartoon ever. Later, I bought the album for my little brother, but I think I listened to it nearly as much as he did. This one was rather popular for family car trips, and I thank my mom for listening to it with us. She couldn’t keep up with the lyrics of Letterbox like we could (not that well), but she didn’t go crazy while we listened to it on repeat over and over. And that’s not even one of the better tracks on the album. I just got word that Tiny Toons is going to be released on DVD – and you can certainly bet that I’ll be rewatching that crazy episode again and again. Some have suggested that the older Counting Crows music is not as good as the newer stuff. They are wrong, because this CD is the best Counting Crows CD ever. Period. I was introduced to this CD on a foreign exchange trip to Russia – my friend Ellen let me borrow her walkman and it had the song Omaha on it, which remains my favorite Counting Crows song to this day. Their top three are all on this CD, which also include Round Here and Mr. Jones. The band definitely has some other great music, but to think that these songs aren’t nearly as good as the new stuff? Preposterous! Should I be ashamed to put this CD on the list? No, I should not. The electronic beats from this crazy EuroPop group got stuck in my head, and I could not get them out. It could be because Aaron and I listened to some of the songs on repeat, leaving his sister’s CD with a small mark on the back from being read by a laser continuously for hours. I’ll let you decide if that’s an exaggeration. You’re only a kid once, right? At least I enjoyed it. One final note: does anyone know what an Ace of Base is? Does it have anything to do with that Internet meme? In my high school chemistry class, one of the students mentioned to me that a new Live CD was coming out. I was excited because not only did I actually know who Live was, but I already owned one of their CDs. That album (Secret Samadhi) wasn’t nearly as good as this one, though, because this one was awesome. It’s possible that this isn’t their greatest CD (which might be Birds of Pray), but this one really is good and the tracks still find their way onto my playlist. Even though this wasn’t the first CD I bought, it was the first cassette tape I bought. We were on a trip in Middle School to Washington, D.C., and I bought this with some of my souvenir money. I have never since regretted that purchase, even though I no longer own a cassette player (unless you count the one in my wife’s car). We listened to this album on some of our Scouting trips, too, which was fun because we all knew the words. Even better, the music video to Buddy Holly was included on the Windows 95 CD-ROM, and because that music video included footage from Happy Days, that meant that I could even get my mom to watch it. Up until college, I had only heard these songs on the radio. A lot. I had also seen a million used copies of this CD for sale. I thought that meant that everyone hated it, but this album sold more than any other in 1995. Yeah, a lot more. It went 16 times platinum. I liked it OK back then, but today I like it even more, thanks partially to my college roommate’s all-Hootie playlist. The constant playing of Hootie drove me to the verge of renouncing the band forever, but then the Blowfish reached out his hand and welcomed me back to the land of deep vocals. I expect to be reprimanded shortly for referring to “Hootie” and “The Blowfish” separately, but that joke never gets old. Dave Matthews is a crazy man, I’ll admit it. That doesn’t make me dislike his music, however. My wife is not a fan, but I still enjoy his music, which my friend Bill had to remind me in a recent road trip. This is my favorite of the Dave Matthews Band albums, but their stuff with Tim Reynolds is also awesome. I had the pleasure of joining a few of my high school friends to a Dave & Time concert in Albuquerque, and it still ranks as the best concert I have ever been to. 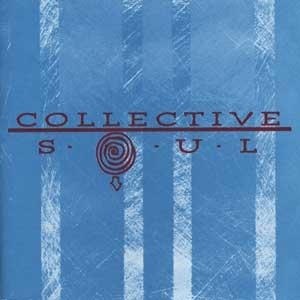 They’ve got other good stuff, too, but this album from Collective Soul was the first one I really got into. Their earlier album Hints, Allegations, and Things Left Unsaid was also good, but this one was great. There are a lot of good songs on this album, and I thank my sister for replacing one that had been scratched. She borrowed my CDs while I served as an LDS Missionary in Argentina, and I think it’s largely because of the Collective Soul CDs that she even wanted them. This is by far the best band name of those on this list. I don’t know what a Goo Goo Doll is, but maybe that’s the point. Songs from this album played on the radio every morning on our drive to Seminary. This CD is great to listen to because so many of the songs have a different sound. Some of my friends went to their concert back in high school, and I hear they sounded horrible. I guess that’s why they have studio albums, because this one is awesome. Also, I had never realized that this CD and Collective Soul were released on the same day. Not a bad day for good music, was it? For me, it’s a toss-up to include this album or Siamese Dream. I chose this one because you got two CDs for the price of one, and thus it has more favorite tracks. I’m pretty sure Billy Corgan was going for some greater message here, but I just enjoyed the music. I remember listening to this album with my brother and sister in our old kitchen back not long after we first got our family CD player, which was a lot of fun. Looking back over the tracks, there were definitely a lot of misses here, but the CD had so many good songs overall that it has kept its spot in my CD collection. This was one of the first CDs I purchased with my own money. I got it not long after it came out, and I purchased it with money from my paper route. I felt like I was making adult decisions with my money, and that was very exciting. This was a great album, and I have since discovered much more of their great music. This was around the time that my parents bought each of us our own CD player for Christmas, and I wore mine out playing CDs like this one. This CD is awesome. I never thought one album could have so many songs that did so well on the radio, and for so long. “Real World” and “3 A.M.” are still some of my favorite songs, and as an added benefit the album had an awesome cover. That guy is really crazy looking. The songs really are classics, though, and they can still be heard all over the airwaves, especially with so many of them being re-released as part of the album Exile on Mainstream. Our Lady Peace has a distinct sound, especially in the vocals. I love it. I’m pretty sure they could use anything for lyrics and it’d be awesome. And no, they’re not yelling. Well, no, maybe they are. Either way, this was a great CD, and although it wasn’t their first, it was a my own introduction to their music. I can still remember when I bought this CD in downtown Albuquerque in high school on a trip for Academic Decathlon, and for some reason I can remember the lyrics to these songs much better than all that classical music I was supposed to memorize. All in all, these were some great CDs. I can’t wait until my daughter starts to call them “Oldies”. That will be really weird. This entry was posted in Music, Nostalgia on Monday, November 5, 2007 by Alex. Well, it’s not Christmas in October but it’s close. I’m writing this from a hotel in a suburb of Denver, Colorado, making final preparations for our trip to the World Series. That’s right, tomorrow I’M GOING TO THE WORLD SERIES! I’m very excited. It’s nearly midnight, and I can’t think about sleeping. It’s like waiting up for Santa Claus. It seems that scoring tickets to this event was just about as unlikely as the Rockies winning 21 of 22 games, so I’m pretty excited for the chance to be here. I wish that Julia and Emmy could have been here, too, but I’m glad they let me come! This may be a once-in-a-lifetime chance, so I’m definitely going to make the most of it. This entry was posted in Sports on Friday, October 26, 2007 by Alex. Ann Arbor, Michigan is planning to install LEDs in its streetlights to save money on lighting costs. Apparently this investment is going to pay for itself in four years. There seems to be a bit of a mini-green revolution right now, as just about every finance blog or personal improvement blog talks about replacing your own light bulbs with CFLs or LEDs. We got a pack of them from Wal-Mart to replace some 60-watt bulbs, and we’re pretty sure that the “60-watt equivalent” is brighter than the regular incandescent bulb after it warms up. Wal-Mart even has their own brand of CFLs, and that’s what we’re using now. It’s a bit of an investment, but we’re planning on replacing a few more bulbs each month to try to cut down on our utilities bill. This entry was posted in FeFNet, Finance on Thursday, October 18, 2007 by Alex.